Hong Kong, a metropolitan city often described in books as the “Far East” or “Pearl of the Orient”, is a commercial and financial hub bursting with energy from all the hustling and bustling around. Take a walk along one of the many busy streets be it Nathan Road or Times Square and one would be quick to “get lost” amdist the towering skyscrapers that loomed above while folks skirted around and scurried below, everyone seemed to be in a frantic hurry. The pace of living here is incredibly fast, so fast that one becomes easily breathless trying to stay in pace and keep up with the daily episodes that rapidly unfold, be it you like it or not. Yet just an hour or so away from all this frenzy, there is a place tugged in one small corner of this once-British colony that seemed to have been transfixed in the past and lost in time, where tourists and even the local folk would visit, especially over the weekends, to catch a glimpse of the yesteryears and also keep their sanity in check. 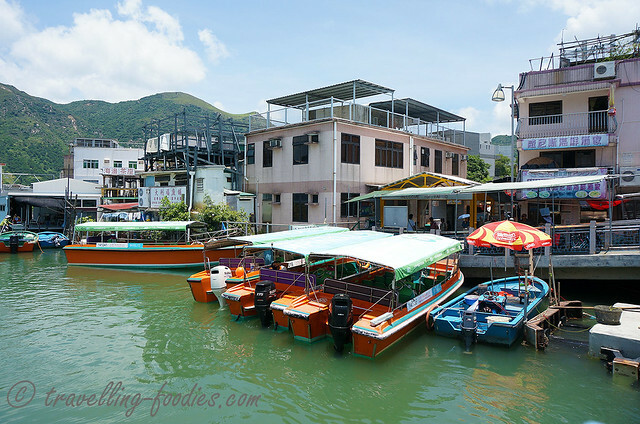 And that place is 大澳 Tai O Fishing Village on 大屿山 Lantau Island.